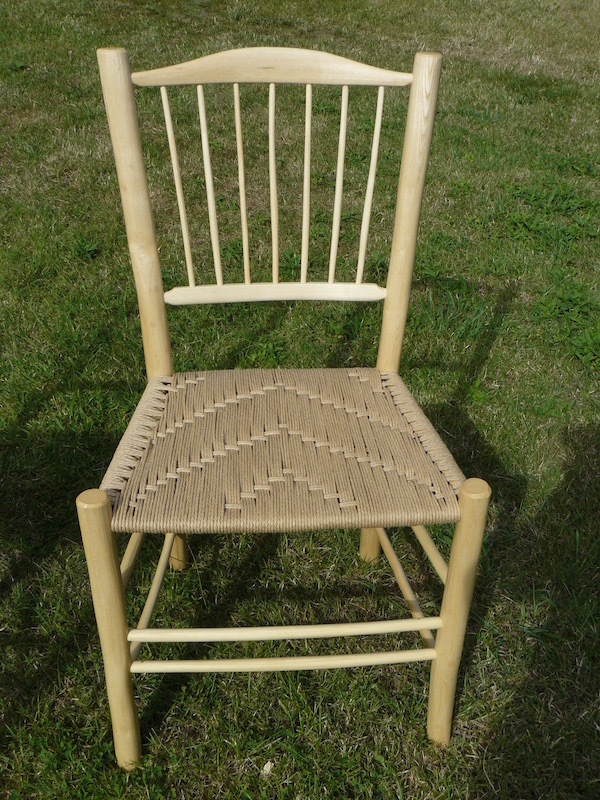 Side chairs or dining chairs are available in the style of lath-back, ladder-back or spindle-back and seated with a variety of seating materials and weave patterns. The chairs are treated with multiple coats of Danish oil during the making process and finished with a natural beeswax polish to preserve and enhance the natural beauty of the wood grain. 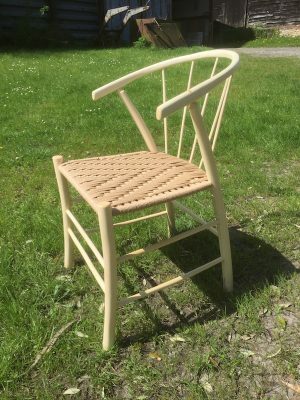 Whenever possible, and to minimise waste, knots and other natural characteristics found within the wood are used during the chairmaking process to give each chair its own unique features. 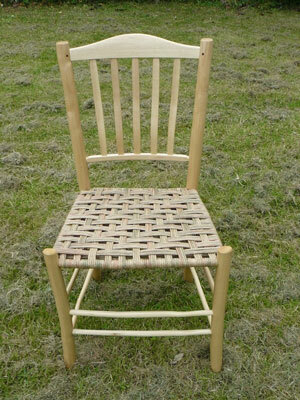 Commissions for sets of side chairs are always welcome so please do get in touch if you have a particular request.